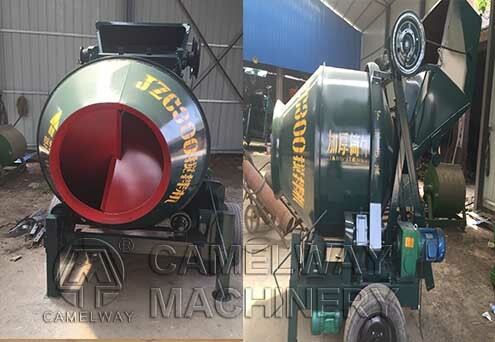 Even users buy the same type concrete mixer from the same concrete mixing equipment manufacturer, they may find that their concrete equipment have different output in the end. Some may find their output of concrete mixer is almost 3 to 5 meters per hour less than others’. Today, Zhengzhou CamelWay Machinery will analysis this issue from following aspects. First, the user didn’t operate according to the instructions strictly. Such as, when adding materials, he didn’t add water in time. Instead, he adds water after all the materials are added. This may lead to low efficiency. Second, the user didn’t pay enough attention to equipment maintenance. Appropriate maintenance is very important to increasing the service life and working efficiency of a concrete mixer. Third, the user didn’t use the mixer to produce concrete regularly. Instead, he uses the mixer to produce mortar materials for a period of time, and then he uses it to produce concrete for another period of time. That will do great damage to the machine. It increases the run-in time, and lower the production efficiency. Zhengzhou CamelWay Machinery manufacture is one of the large-scale enterprise specializing in construction machinery. The company provides good quality concrete mixers and concrete batching plants etc. Our machines are sold all over the world, welcome to contact us.